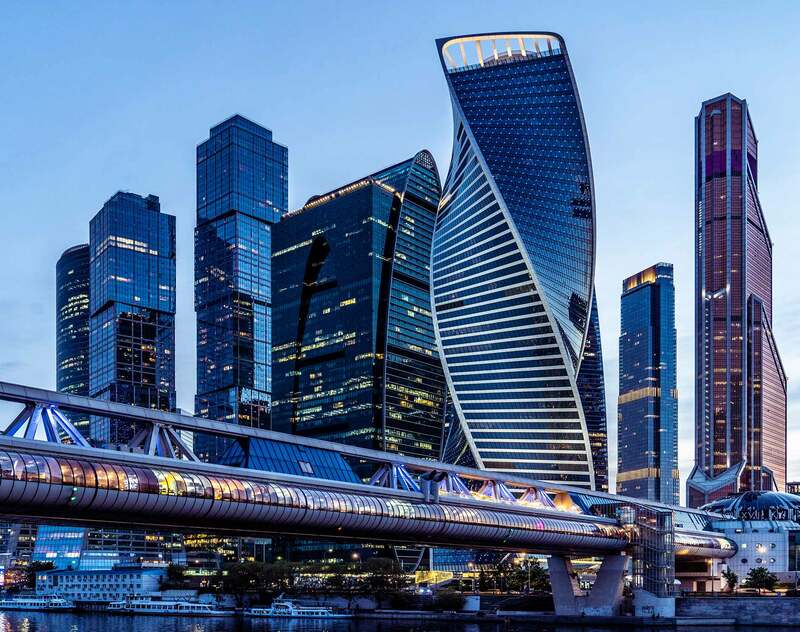 Dzhangar is a partner in Dentons’ Moscow office and head of Russia Tax and Customs practice. He primarily focuses on tax litigation. Between 2007-2016 Dzhangar handled over 1000 court cases including before the Supreme Arbitration Court. In addition, Dzhangar provided full support in a considerable number of tax disputes settled at pre-trial stages. Dzhangar also advises on various aspects of taxation, including drafting internal policies to prevent tax risks (regarding suppliers, marketing, and others), analyzing contracts for tax risks, and verifying tax accounting in order to reveal potential tax assessments and overpayments. A global leader in packaging solutions: Representing in a dispute in connection with additional assessments of property tax on fixed assets. A leading European cement producer: Representing in a dispute in connection with additional VAT assessments on the purchase of stripping works on another entity’s subsoil block. A leading agricultural engineering company: Representing in a dispute in connection with additional assessments of profit tax and VAT on secondment services. An international agricultural company: Representing in a dispute in connection with additional VAT assessments on complaints concerning separate accounting. A leading alcohol producer: Representing in a dispute concerning additional tax assessments based on claims against suppliers as fly-by-night companies. A world leader in digital security: Representing in a dispute in connection with additional profit tax assessments on complaints concerning losses carry forward without primary documents evidencing them. An international glass manufacturer: Representing in a dispute in connection with additional profit tax assessments in a dispute concerning the application of a double tax treaty. A global energy and petrochemicals company: Representing in a dispute in connection with additional VAT assessments concerning complaints concerning the right to apply the zero rate. A leading European retail chain: Representing in a dispute in connection with claims for VAT refunds where administrative deadlines have been missed. Chambers Europe 2018: leading tax expert in Russia; "He is a talented negotiator and manager," "He can explain everything in a very simple way." The Legal 500 2018: recommended tax expert in Russia. Best Lawyers 2018: leading tax expert in Russia. Expert Guides to Best Lawyers 2018: leading tax expert in Russia. Indirect Tax Leaders 2018: leading tax expert in Russia. Chambers Europe 2017: leading tax expert in Russia; "He pays attention to detail, has excellent oratorical skills and, in preparing cases, he gives detailed recommendations." "He almost always wins. In Russia it is very difficult to argue with tax bodies and win, but he wins." Client Choice Awards 2017: exclusive winner of the Corporate Tax category for Russia; "Dzhangar is a very experienced advisor and one of few partners in Russia who specializes in customs disputes.” "He is an open-minded and talented manager who at the same time makes his best efforts by himself; he has a bright personality." "He is highly experienced with tax and customs authorities." "He has perfect knowledge of the corporate tax practice; he immediately responds to urgent inquiries and he is flexible in fee management." "Dzhangar has great industry knowledge; he is commercially aware and business minded." "His advice is of the highest quality; he is a reliable and loyal partner." Tax Controversy Leaders 2017: leading tax litigator in Russia. Chambers Europe 2016: leading tax expert in Russia; "He gives off the impression of an intelligent and client-oriented person who listens to his client and respects the opinions of opponents." The Legal 500 2016: recommended tax expert in Russia; Dzhangar is “a real market expert, managing a great team of tax and customs lawyers”. Tax Directors Handbook 2016: Dzhangar Dzhalchinov is “a real market expert, managing a great team of tax and customs lawyers”. Chambers Global and Europe 2015: leading tax expert in Russia; "Clients praise his "constructive approach," adding that he is "very client-oriented, always thinking about us as a client and understanding what we need." 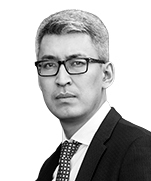 The Legal 500 2015: leading tax expert in Russia; Dzhangar Dzhalchinov is "excellent tax litigator." Tax Controversy Leaders 2015: leading tax litigator in Russia. Tax Directors Handbook 2015: recommended tax expert in Russia. Best Lawyers 2015: leading tax expert in Russia. Indirect Tax Leaders 2015: leading tax expert in Russia. Chambers Global and Europe 2014: leading tax expert in Russia; Dzhangar is a "very gifted tax litigator. He can take a case that seems impossible and still win it. Delighted clients endorse him as a master of his trade." The Legal 500 2014: leading tax expert in Russia; Dzhangar Dzhalchinov is "very client oriented." Tax Directors Handbook 2014: recommended tax expert in Russia. Best Lawyers 2014: leading tax expert in Russia. Tax Controversy Leaders 2014: leading tax litigator in Russia. Chambers Global 2013: leading tax expert in Russia; "Clients value his services, describing him as a fast, smart and extremely committed lawyer. An up-and-coming figure in the market, he is singled out as one of the best tax litigators in Russia." World Tax 2013: leading tax expert in Russia; "Our main contact person in Dentons is Dzhangar Dzhalchinov. He is an excellent specialist and expert in tax litigations. I have personally worked with Salans for four to five years and we surely want to continue our cooperation in the future." The Legal 500 2013: leading tax expert in Russia; "Competent, fast and accurate." European Legal Experts 2013: leading tax expert in Russia. Expert Guide to Tax Advisers 2013: leading tax expert in Russia. Dzhangar is the author of a book on tax risks in contracting and more than 50 articles in leading Russian professional publications. Dentons tax practice and the Institute of Contemporary Education Technologies Development (IRSOT) have started a unique project on producing video interviews on deoffshorisation issues. Dzhangar will discuss these issues with key legal experts in deoffshorisation in Russia during the year. He is a member of the International Fiscal Association. Dzhangar became the official reporter for Key Practical Issues to Eliminate Double Taxation of Business Income for the Russian branch of the IFA in 2011, for Enterprise Services for 2012, and was appointed the official reporter for Taxation of Foreign Passive Income for Groups of Companies for 2013.